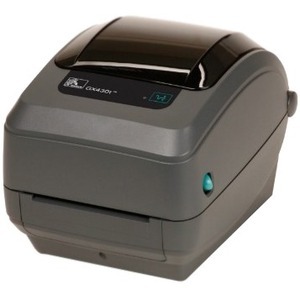 This direct thermal/thermal transfer desktop printer includes a 300dpi print head to ensure high-quality, crisp, clear printing of 2-D bar codes, fine text and complex graphics -ideal for high-density data on small labels. It has the widest range of features and the easiest ribbon-loading system of any desktop printer on the market. It prints up to 4 inches per second.